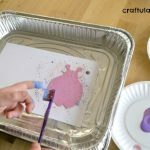 The holiday season is a classic time for making handprint and footprint art – it is a wonderful way to preserve memories and create some art at the same time! 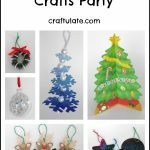 Recently I planned a crafty playdate with friends to make some festive handprint art. 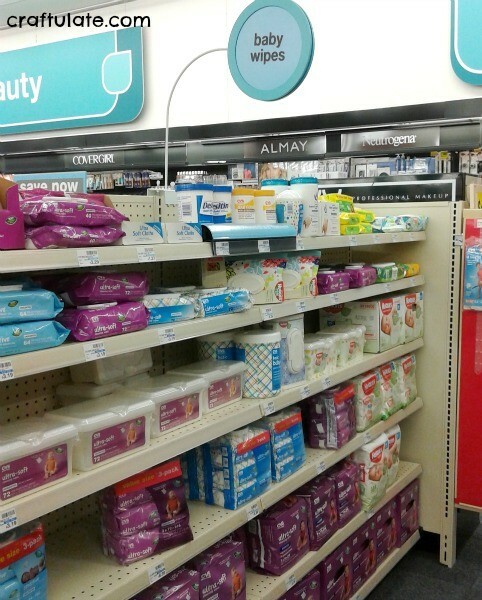 Then while I was at CVS the next day I saw some super cute Clutch ‘n Clean Wipes. Huggies wipes are the #1 Branded Choice of Moms and the gorgeous Clutch ‘n Clean Wipes are available in some wonderful designs! Get all your supplies ready before you start: card or paper, brush, and paint. 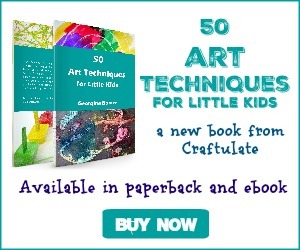 Place some wipes right next to where you plan to make the art! The last point is an important one. 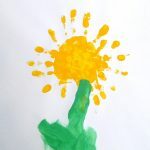 If you have a fear of painty handprints all around your house, it is an essential one. 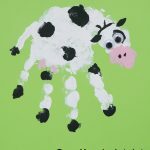 With younger children you can do it all quite quickly: Paint hand, press onto card, wipe hand. Then you let the paint dry and embellish it later. 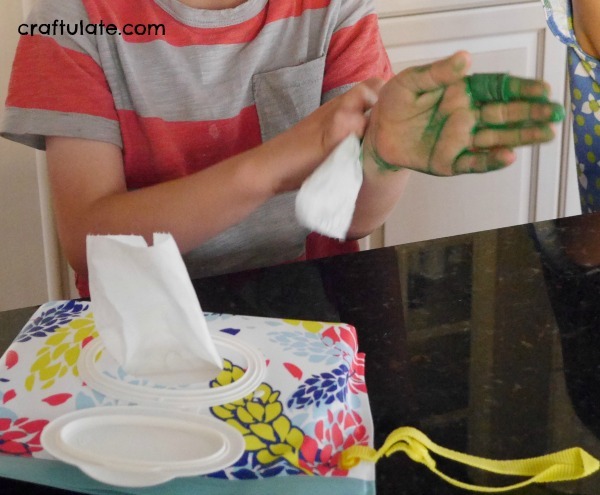 This playdate was for kids 6-8, so I decided to let them clean their own hands! I gave the sisters a Clutch ‘n Clean Wipes pack of their own. Then they started painting their own hands! 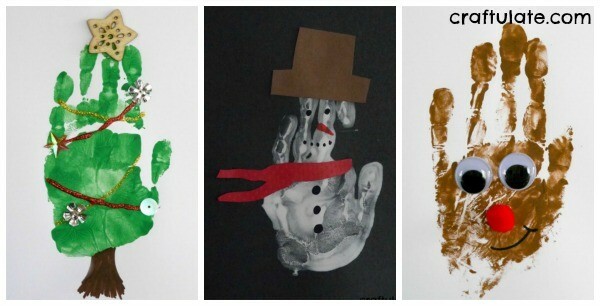 We decided to make three handprints: white paint on black card to make a snowman, brown on white to make a reindeer and green on white card to make a Christmas tree. I supervised from the other side of the table and made sure they had everything they needed. Their brother came to join in the fun, too! 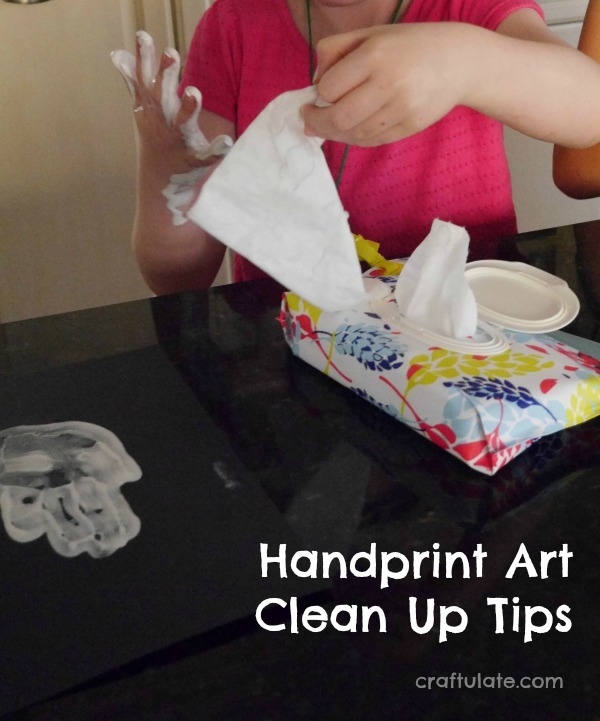 After each handprint the wipes were in the perfect position and the kids happily wiped their hands clean before starting on the next piece of artwork. Just having the Clutch ‘n Clean Wipes right there on the counter made all the difference to my stress levels, I can tell you! 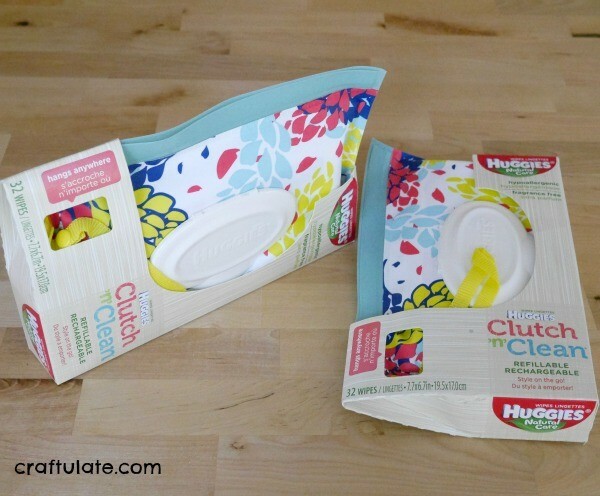 These Clutch ‘n Clean Wipes are definitely crafty-mom approved! Stay in touch with all the latest news and products from Huggies by following them on Twitter, Facebook, Pinterest, Instagram and YouTube! 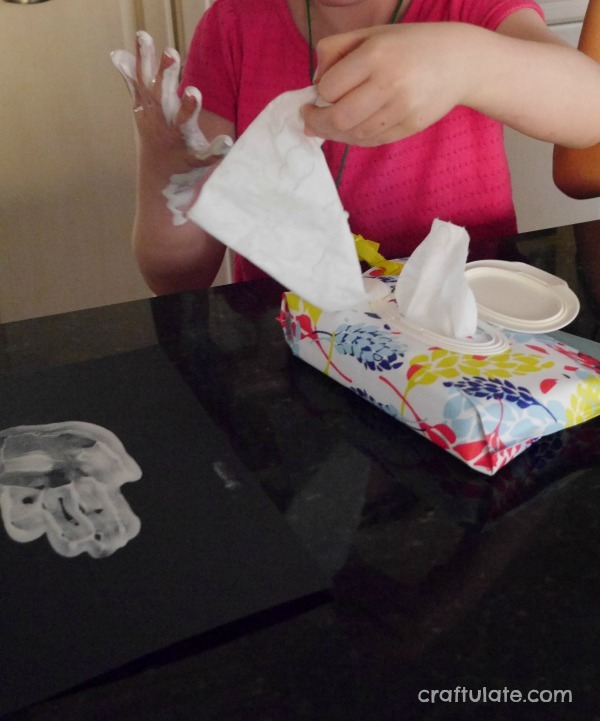 I never thought to use baby wipes for craft clean up! Great idea and the packaging is super cute!